I’m a huge supporter of the BBC, yet for many years I was unimpressed with much of its online output, where inconsistent design and poor implementation reflected badly upon one of our country’s greatest institutions. In the last few years however, there has been a shift in the opposite direction. The iPlayer — the corporation’s time-shifted internet television and radio platform — is an industry leader. Fans of the Semantic Web can marvel at the programmes and music databases that support many aspects of the site, complete with smart URL structures that ensure data remains permanent and findable. A redesigned and customisable home page surfaces a wealth of information to around 13 million people each day. A selection of mastheads used on ‘Barlesque’ sites that adhere to the Global Visual Language v2. The introduction of the GVL was a huge step forward, yet I’ve been critical of a few aspects of it in the past. The insistence on using Verdana for example, especially for page headings, has lead to a few vexed comments from me on the BBC Internet Blog. 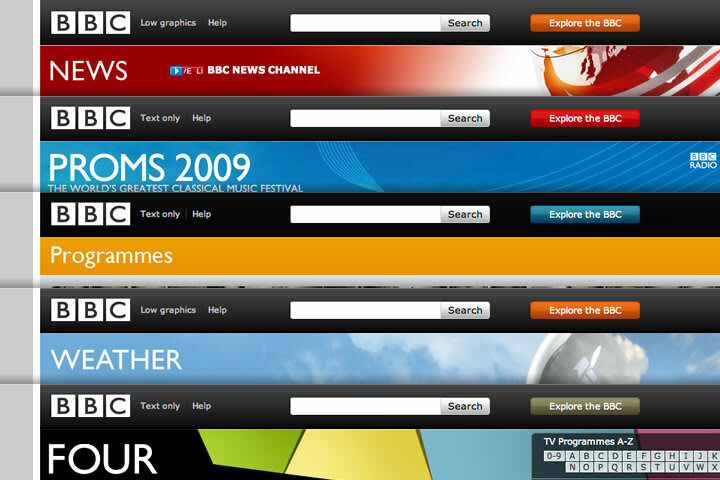 Of course it’s easy to create something like this in isolation, without a full understanding of the design or technical constraints that exist, but I think this demonstrates my frustration with the implementation at the time and — perhaps more importantly — how much I care about the design of the BBC website. Given this background, you can imagine my delight on reading that the corporation is working on a brand new design language with the help of Neville Brody and his agency Research Studios. Not only does it answer my previous criticisms, but the early previews exceed my wildest expectations. We wanted to find the soul of the BBC. We wanted something distinctive and recognisable; we wanted drama. We knew whatever we created needed to be truly cross-platform and that we needed to simplify our user journeys. 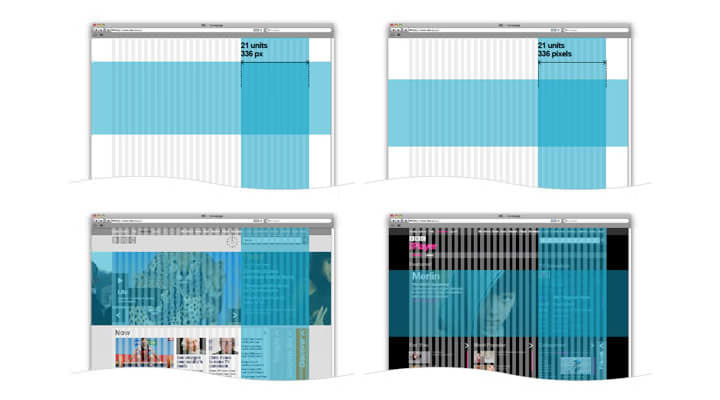 Example grid usage in the new Global Visual Language. Icons used in the new Global Visual Language. I do wonder if this work for the BBC, and that for Windows Phone are the first signs of a move away from the Web 2.0 look by larger organisations. I will happily accept the painful irony, that having waited so many years for rounded corners and background gradients to be implemented in browsers, the trend that demands them will no longer be with us.